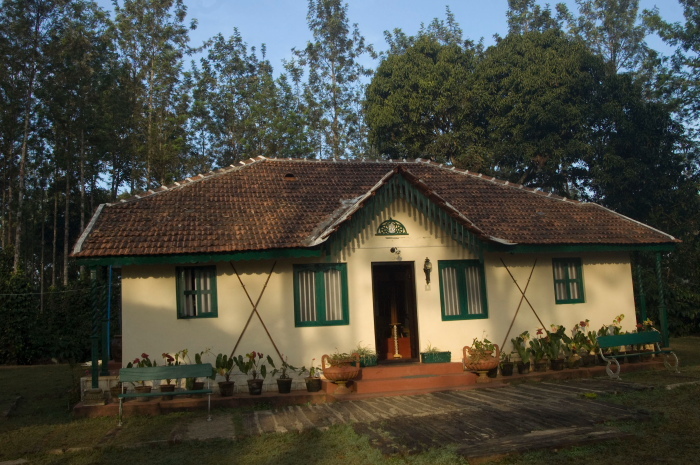 The best way to enjoy Coorg and its legendary Kodava hospitality is to surrender to the charms of a homestay. In one of India’s fastest growing homestay regions, travelers are spoilt for choice. Opt for heritage homestays like Gowri Nivas, School Estate and Java Mane, wildlife lodges like Elephant Corridor and Kalmane, plantation retreats like Bamboo Loft, Alath Cad and Palace Estate, hilly escapes like Kabbe Holidays and Honey Valley or riverside getaways like Polaycad Bungalow, Silver Brook and Sand Banks. Staying with well-informed hosts is a great way to learn about the culture of this fascinating region. Kodavas trace their lineage through a maneypeda (clan name) and each clan has an ainmane (ancestral home). Built mostly out of wood, the richly carved doorframes, windows and ceiling panels are a visual treat. 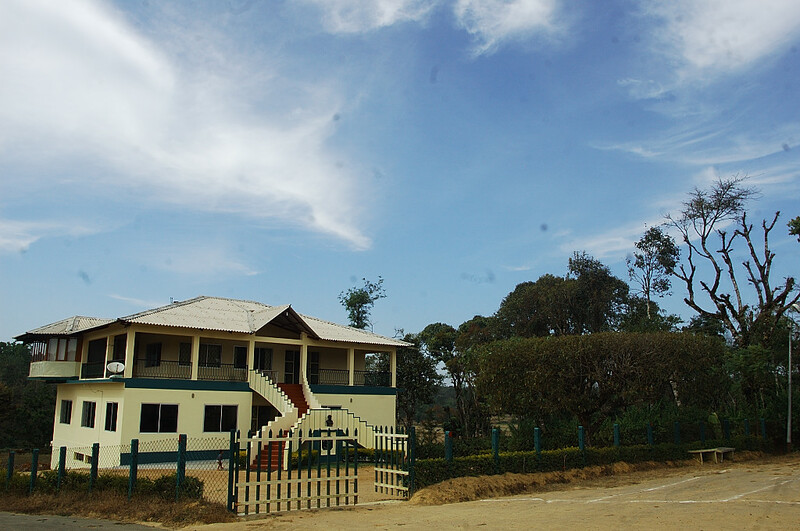 Check out the Nadikeriyanda ainmane while staying at Keemalekad Estate. Savour Coorg’s signature dish pandi (pork) curry, usually paired with kadambuttu (steamed rice balls). 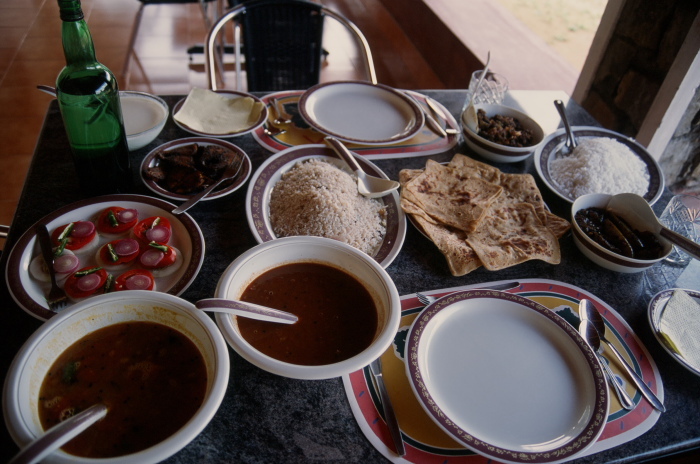 Other unique combination dishes include noolputtu (string hoppers) with kozhi (chicken) curry, paputtu (steamed rice cakes) with yerachi (mutton) curry and mutton pulao with kaipuli pajji (bitter lime chutney) or vegetable pachadi (raita). Vegetarians needn’t fret as Coorg cuisine integrates local produce like bemble (bamboo shoot), bollari (gourd) and kumbla (pumpkin) curry, with akki otti, ghee and honey. Wash it down with the perfect cup of coffee and homemade wines that range from betel, rice, orange, coffee, tea, banana, sapota, star fruit and other exciting flavours! Pay your tribute at the unique Trimurti shrine at Bhagamandala, the sacred confluence of the Cauvery, Kannike and Sujyothi. Continue uphill to Talacauvery, where the Cauvery emerges from a spring. 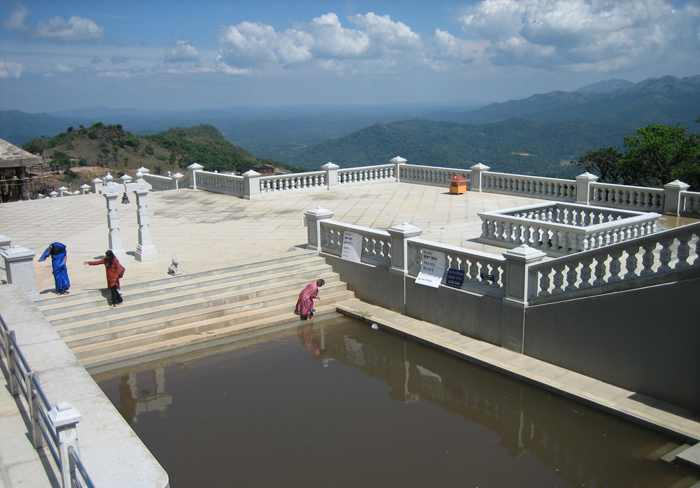 Collect some teertha (sacred water) from the tank and climb the Brahmagiri Hill for a stupendous view. According to legend, when the Goddess Cauvery took the form of a river to revive the drought-stricken land, people gathered at the base of the hill to receive her. The force of her currents was so swift that the pleats of the women’s saris turned backwards. To this day, Coorg women wear the sari in this manner. 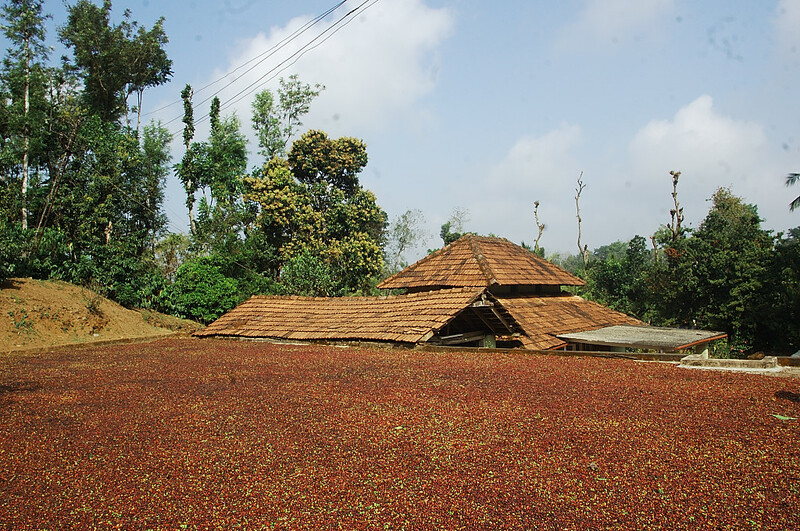 Despite being Karnataka’s tiniest district, Coorg is the largest coffee growing region in India. A guided plantation walk through a coffee estate while staying in a plantation bungalow is essential to trace the journey of the wonderful brew from berry to cup. See how cardamom is grown and cured and pepper is harvested to make green, black and white pepper. Make sure to buy Coorg coffee, honey and spices like cardamom and pepper from the nodal towns of Madikeri, Virajpet or Gonikoppal. Enjoy the life a colonial planter at Tata Coffee’s Plantation Trails bungalows like Thaneerhulla, Woshully, Yemmegoondi and even a tea estate stay in a land known for coffee! Take part in the amazing Elephant Interaction program at Dubare Elephant Training Camp. An early morning visit allows you the chance to give the wonderful creature a bath in the Cauvery, feed it gigantic balls of ragi and jaggery followed by a ride in the adjoining jungle. Learn about pachyderms at the old forest rest house that serves as an interpretation centre. 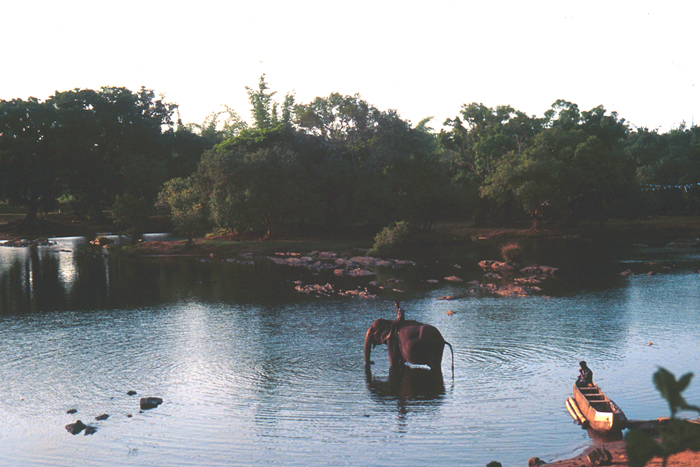 And if that’s not enough, head to Nagarahole, one of India’s best habitats of the Asian elephant. Go on a wildlife safari in the national park, though a drive along the highway is often more rewarding with frequent elephant crossings. 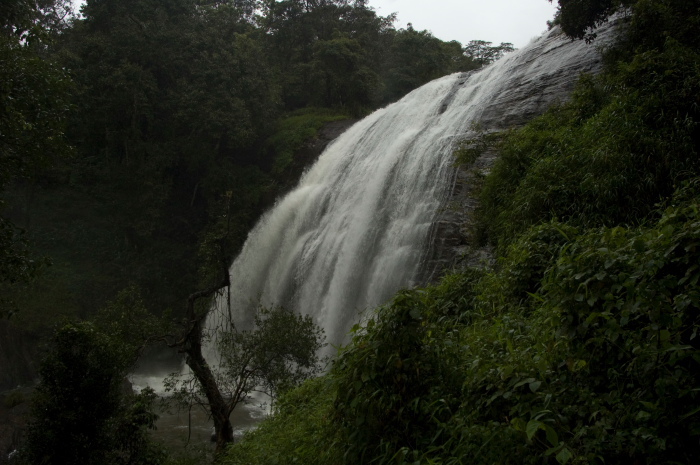 Being a mountainous region criss-crossed with rivers and streams, Coorg has some stunning waterfalls. Abbi Falls near Madikeri, where the famous croc scene of the Bollywood flick Khoon Bhari Maang was shot, is easily the most popular while Preity Zinta’s Liril ad was filmed at a cataract near Karike. Mukkodlu near Kotebetta, Mallali near Somwarpet, Irpu near Srimangala and Chelavara Falls near Cheyandane are also easily accessible. But deep within the forests near Birunani lies the magnificent Sarathabbi, which only the most adventurous can reach. 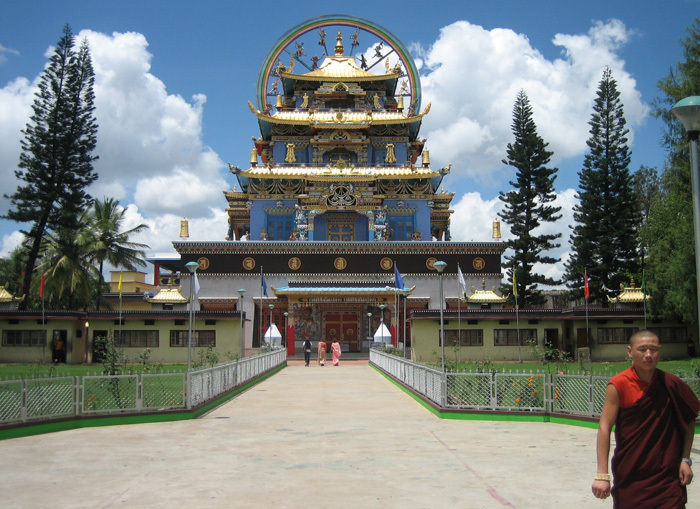 Marvel at the 30 ft high gilded statues of Buddha, Amitayus and Padmasambhava at the Namdroling Golden Temple in Bylakuppe, India’s largest Tibetan settlement. Spread across vast fields of corn and divided into ‘camps’, the area is dotted with stupas, prayer flags and monasteries of the Sakya, Sera, Kagyudpa and Nyingmapa orders. Try Tibetan fare like momo-thukpa and pick up knick-knacks like hand knotted carpets, prayer wheels, flags, vajras and incense. 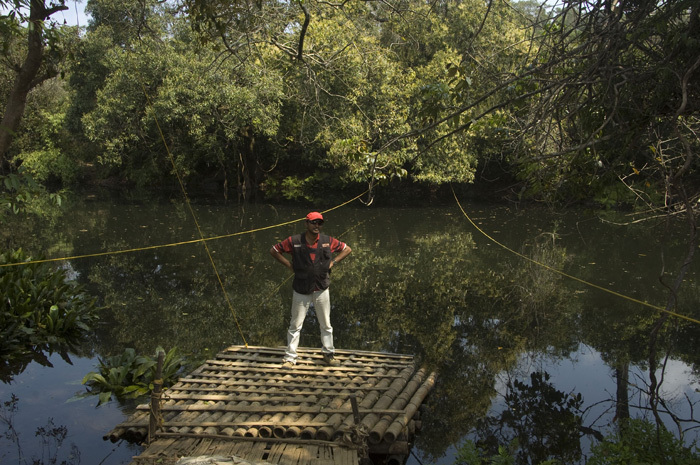 For the adventurous there’s no dearth of activities in Coorg. Go trekking, rock climbing and windsurfing at Hyrige reservoir with Coorg Adventure Club. Try river crossing and rappelling near Keemalekad with Coorg Outdoors. Go on an off road ride, camping or a trek to Kerala with Crimson Eye. Do kayaking, canoeing and river crossing in the Kabbe river and camping around Kakkabe with Jungle Mount Adventure. For Quad Biking, zip-line and other adventures head to Now Or Never Land outdoor activity centre. In the monsoons, go river rafting at the KKR River with Barapole Rafting and Southern River Adventures. Golfing in Coorg’s undulating greens is an invigorating exercise, made more interesting by an occasional gaur or wild deer ambling across the fairway. The challenging Mercara Downs at Madikeri, the popular Coorg Golf Links at Bittangala near Virajpet and old favourites Pollibetta Golf Club and Belur Club beckon golfers of all ages. Colonial era club houses with hunting trophies, vintage posters and indoor games add to the charm. Non-members can request the host/homestay to be introduced as a guest. Golf equipment and caddies are available for a token fee. 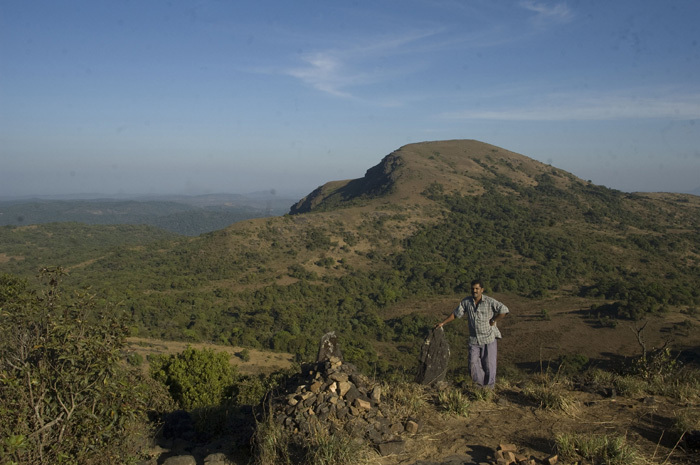 After Mullaiyangiri in the Baba Budan Giri range, the second highest peak in Karnataka happens to be in Coorg. Accessible from Kakkabe, the mighty Thadiyendamol lures trekkers to experience the unparalleled beauty unfolding at the peak. The lucky ones even recount seeing the Arabian Sea in the horizon on a clear day. Coorg has numerous moderate to tough treks. Popular trails include Thalathamane and Nishanimotte near Madikeri, Kotebetta near Madapur, Pushpagiri near Somwarpet and Brahmagiri Wildlife Sanctuary near Irpu. Authors: Anurag Mallick & Priya Ganapathy. This article appeared on 4 April 2013 in Conde Nast Traveller online.